Migrant families are traveling thousands of miles from central and south America to escape conflict, violence, and in search of a better life for their children. These undocumented families are being processed by ICE at the southern border and then released to join family or friends who may live in New York, Washington, or many points in between. Eventually, these families will go through the immigration court process. These families are provided a bus ticket by immigrant rights groups at the border, and perhaps a few dollars. 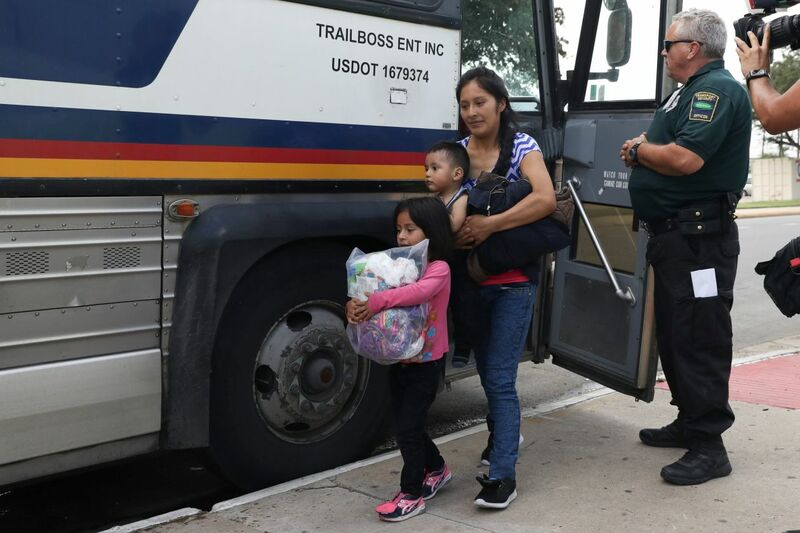 When they reach Sacramento, either to join family, or as a stop on their bus trip, they usually haven't eaten, have no money, and lack basic necessities like diapers, baby formula, toothbrushes, clothes, and blankets. Abuelas Responden is a local chapter of a national group responding to this humanitarian crisis, by being present at the bus stops with food, backpacks filled with necessities, and assistance for families who may be lost or confused about where they are supposed to be going next! We are raising funds to help them purchase more backpacks and supplies. Help Migrant Families Traveling With Nothing! You may receive updates from NorCal Resist, the sponsor of this fundraiser.